The report, issued by the National Cyber Security Centre, which is part of GCHQ, says it can provide "only limited assurance that the long-term security risks can be managed in the Huawei equipment currently deployed in the UK". The report describes "significant technical issues in Huawei's engineering processes". It also says Huawei's approach to software development brings "significantly increased risk to UK operators". But the report also warns that the current arrangement "can only provide limited assurance that all risks to UK national security from Huawei's involvement in the UK's critical networks can be sufficiently mitigated long-term". Huawei's kit is often cheaper than that of rivals but with that come concerns that the business model driving its fast growth can lead to sloppiness in its work. Since 2010, after Huawei partnered first with BT and then other telecoms providers to supply equipment in the UK's telecoms infrastructure, the Huawei Cyber Security Evaluation Centre (HCSEC), known as "the cell", has been examining the hardware and software deployed. Concerns were raised in last year's annual report but this year its report is highly critical of the failure of the company to address these. "No material progress has been made by Huawei in the remediation of the issues reported last year," the report says. "It will be difficult to appropriately risk manage future products in the context of UK deployments, until Huawei's software engineering and cyber-security processes are remediated," it says. 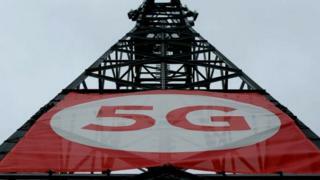 The report stresses that the decision over Huawei's role in 5G will come after a wider review by the Department for Digital, Culture, Media and Sport (DCMS). In response, a Huawei representative said it understood the concerns over its software engineering capability and took them "very seriously".